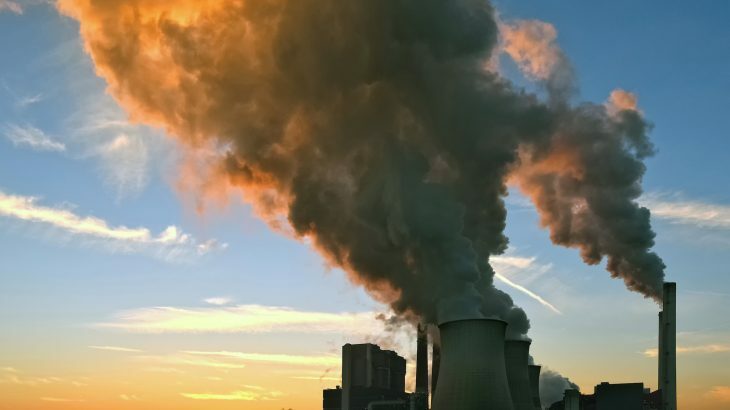 According to researchers at the University of East Anglia (UEA) and the Global Carbon Project, global carbon emissions will hit an all-time high in 2018. 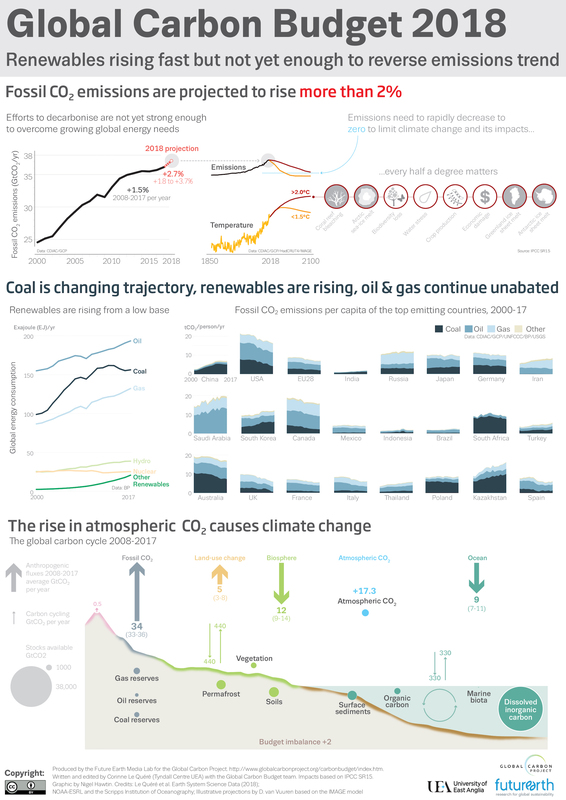 The total worldwide emissions from burning fossil fuels is projected to reach 37.1 billion tons of CO2 this year. The anticipated rise of more than two percent can be attributed to sustained growth in the use of oil and gas and to an increase in the use of coal for the second year in a row. The research team says that energy trends are changing and that there is still time to address climate change, but only if efforts to curb carbon emissions expand rapidly throughout all sectors of the economy. “We need strong policy and economic support for rapid deployment of low carbon technologies to cut emissions across the energy and transport sectors, from buildings and from industry,” said lead researcher Professor Corinne Le Quéré. This will be the second consecutive year of rising CO2 emissions, after three years of little-to-no growth from 2014 to 2016. In 2018, the 10 biggest carbon emitters are China, the United States, India, Russia, Japan, Germany, Iran, Saudi Arabia, South Korea, and Canada. Representing a region of countries, the EU ranks third. The report is a further call to action for representatives from almost 200 countries attending the UN Climate Change Conference (COP24), which is taking place this week in Katowice, Poland. The research is published in the journal Nature.